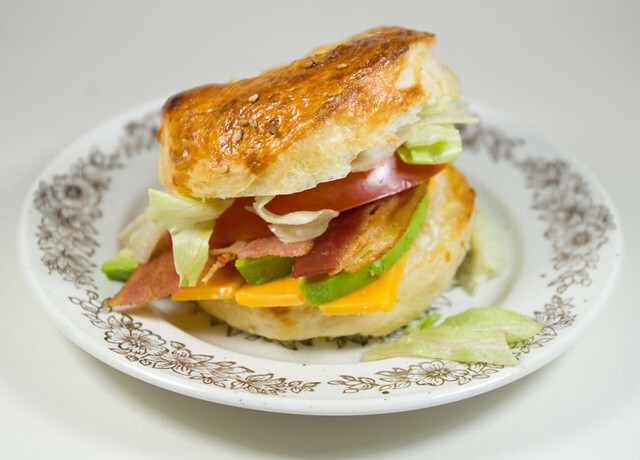 Home-made bagel BLT with avocado and cheddar cheese. The bagel is actually quite small; the dish it’s set on is only a bread plate. All in all, I found this recipe to be just as easy as when I first tried to make bagels. I did have some difficulties getting the oven’s temperature right, though, and some of my bagels were a bit singed on top. I think my poor 30-year-old stove is finally starting to give up the ghost. I bought an oven thermometer over the weekend because I suspected that there was a variance between what the oven setting and the actual temperature — and I was correct. The oven runs between 50 and 75 degrees Fahrenheit cooler than it should, which explains some of the weird results I’ve been getting. Between that and the fact that I can’t keep an oven light working no matter what I do (they burn out in a matter of days), I’ve started looking at alternatives. I’ve started to drool over free-standing electric ranges with double ovens, even though they don’t seem to be available with traditional elements (I don’t really like glass-ceramic cook tops). To keep with this week’s theme of maple dishes, I tried a second recipe from Anita Stewart’s Canada: Maple Pouding Chomeur. 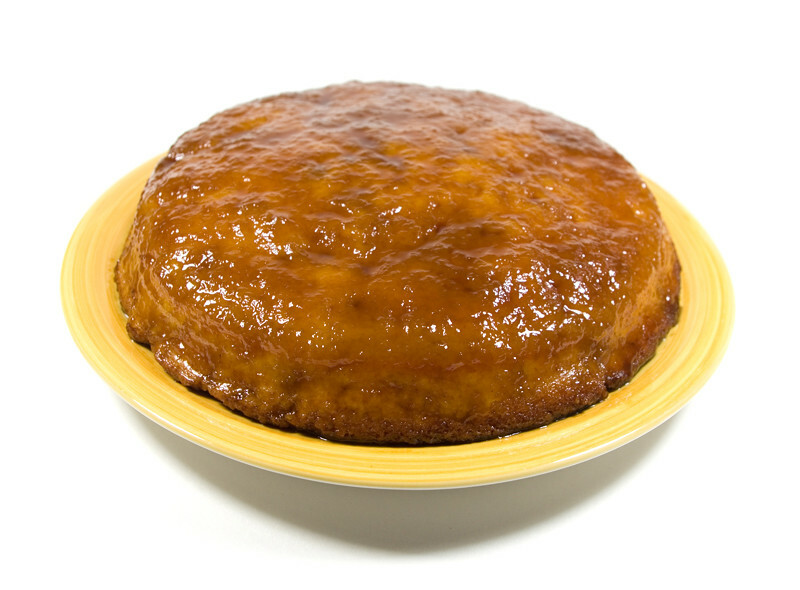 Pouding chômeur is another Québecois dish, not surprising given the quantities of maple syrup involved. The name translates literally to “unemployed person’s pudding”, and can also be called “poor man’s pudding”. It is said to have been invented during the Great Depression, and it reflects this by being made of only the cheapest and most easily-available components. 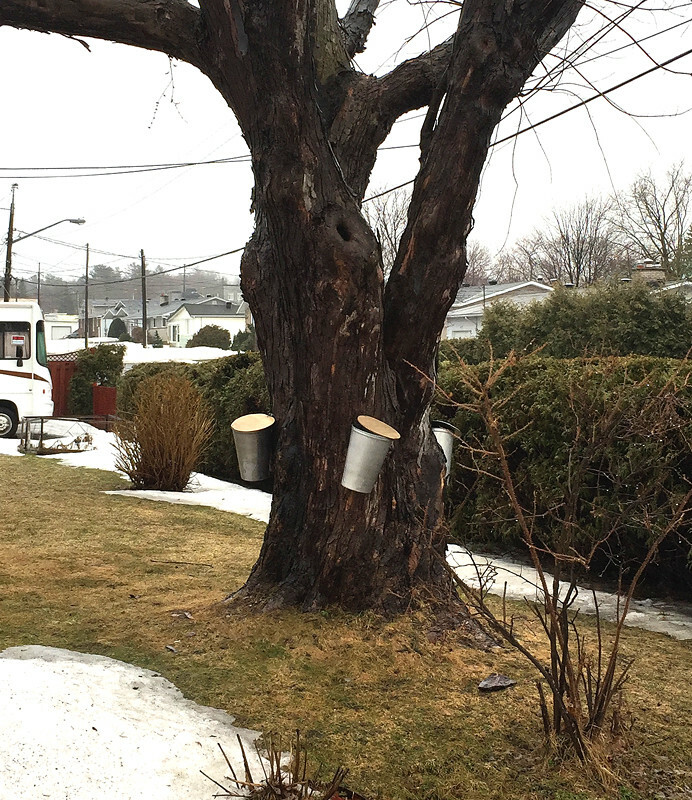 Although maple syrup may seem like a very expensive ingredient, especially if you live in an area that has to fly it in, keep in mind that as a local harvest it was an ingredient that could be available to everyone, unlike expensive imported beet and cane sugar. Given the issues I’ve been having with my oven, I was a little worried about how the pouding chômeur would turn out. I didn’t want to cook it any longer than the recommended time since it was getting quite brown and I was afraid it would burn. As it happens, I needn’t have fretted. It was cooked all the way through and not burned at all. Next time, though, I will use a larger pan. I Googled “pouding chômeur” and most people seem to serve it out of a glass dish, but since the cake had risen over the edge of my pan, that wasn’t really an option. 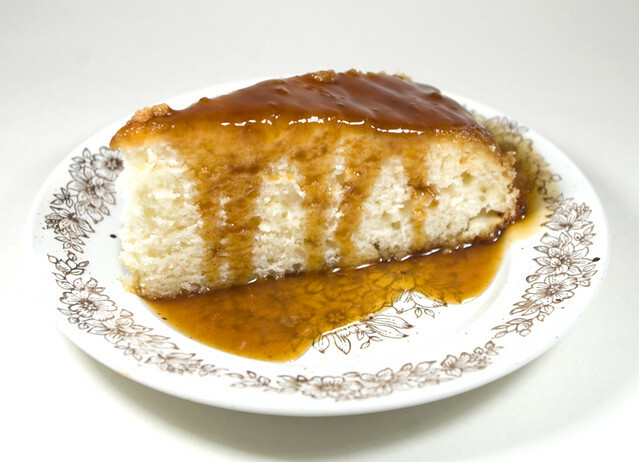 This cake really shows its gloriousness once it is flipped over onto a plate — carefully, so as not to lose any of the maple syrup sauce! When making the cake, the batter goes into the pan first, and then the sauce mixture is poured over top. 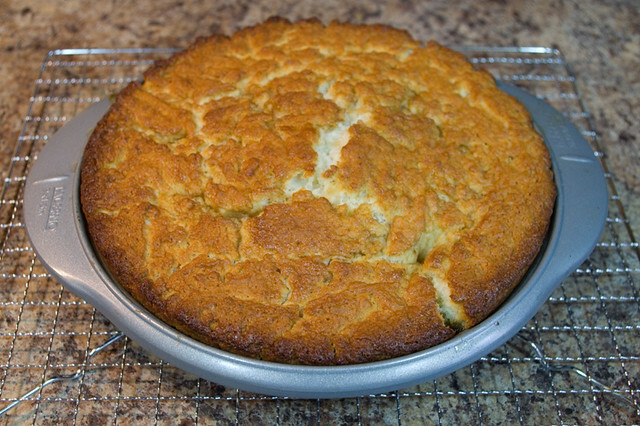 As it cooks, the cake rises to the surface and the sauce stays on the bottom. When I flipped the cake over, the majority of the sauce then became the glaze on top. It’s a fantastically easy cake to make, with no icing or decoration required. We all had slices of pouding chômeur with excess sauce dribbled over them for dessert, and the kids were in heaven. I loved it, but I think it would be even better with a scoop of French vanilla ice cream on top. That may be sacrilege to Québecois people who grew up with the dish, though.